After decades of life under a controversial Arizona lawman, there will be a new sheriff in town. Joe Arpaio, who became a national conservative figure during his time leading the Phoenix area’s Maricopa County Sheriff’s Office, was beaten Tuesday by his Democratic challenger. 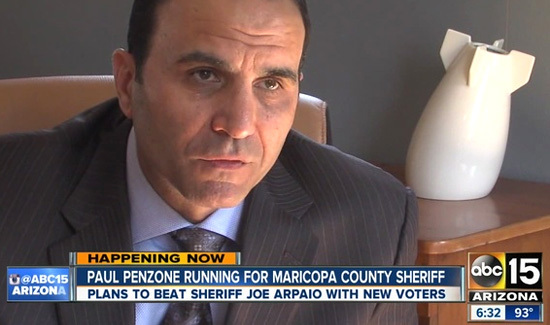 Local media called the race for Paul Penzone as he led Arpaio 55% to 45% with more than 90% of precincts reporting late Tuesday. Arpaio, first elected in 1992, became known as “America’s toughest sheriff” for policies including making some inmates wear pink underwear and operating a tent jail where temperatures regularly reached over 100 degrees.